We all love a story. This one started with '50 favourite things'. Three years ago, I fell in love with machine embroidery and wanted to master the technique. I needed a project; so what better than creating my favourite things, such as Picking Peas, A Blackbird in the garden, Hanging out washing, and spending Sunday afternoon on my sewing machine. These ideas were just the start. The project caught people's imagination and it grew! "The little things are the big things"
I now take on commissions and sell at events and on my Etsy shop. 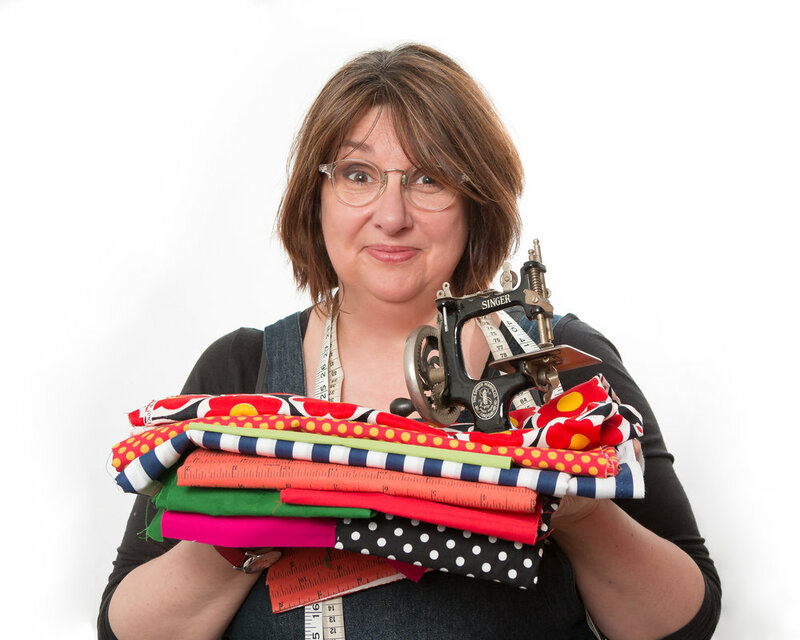 As a designer-maker, I create hand-made humorous and quirky stationery and homeware from thrifted vintage fabrics and ephemera - all made to make you smile!